What binds ThreeSixty Journalism alumni together? For one, their ability to create dynamic change everywhere they go. Take a look at two ThreeSixty graduates: Amira Warren-Yearby and Kelly Ordoñez-Saybe. 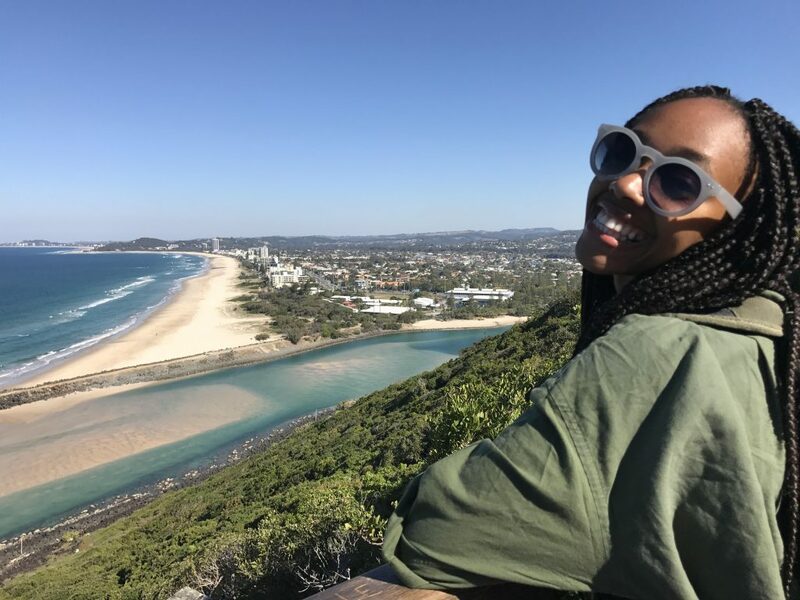 Warren-Yearby, the 2015 ThreeSixty Scholar, spent her junior year studying in Queensland, Australia. The now St. Thomas senior studied film and cinematography at Bond University. Her goal is to be a TV or film producer. Studying at Bond University gave her a hands-on experience in filmmaking. “When you’re going to be a producer, it’s important to know the different aspects and different roles [in cinematography],” Warren-Yearby said. In addition to her studies, she is the president of the Black Empowerment Student Alliance, a group that serves as a support network for black students at the University of St. Thomas. Warren-Yearby began ThreeSixty during the summer of 2013, right before her junior year of high school. During her time with the program, she said she gained skills that prepared her for her studies and future career. “I definitely pay homage to ThreeSixty’s role in me being able to do what I’m doing right now,” she said. Kelly Ordoñez-Saybe is in her second and final year at Dougherty Family College (DFC), St. Thomas’ new two-year university, primarily serving promising students who want to obtain a four-year college degree and face financial, academic and social obstacles on the way to their goal. Ordoñez-Saybe was recently named the first recipient of the Pioneer Press and the Minnesota Newspaper and Communications Guild’s joint diversity scholarship. The ThreeSixty alumna currently holds a corporate communications internship at Best Buy headquarters, which she plans to continue through her second year of college. Ordoñez-Saybe credits her connections at ThreeSixty with helping her secure the internship. “I did a lot of shadowing on other people’s day-to-day jobs, and it is amazing to see a team that thrives and works together,” Ordoñez-Saybe said. She will be graduating in May 2019 as part of the inaugural graduating class of DFC. From there, she wants to transfer to the University of St.Thomas or another four-year institution. “I plan to attain a degree in public health with a minor in English,” she said.